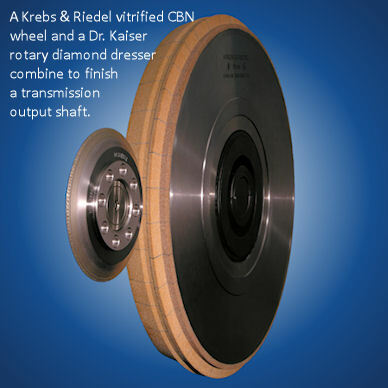 We are the North American importers for Dr. Kaiser diamond dressers and diamond & CBN Dressing Systems and Krebs and Riedel vitrified diamond and vitrified CBN grinding wheels. As the owners of IGA Abrasives, LLC, we offer US-made Internal grinding wheels, honing stones, superfinishing stones, and dressing sticks. Our Molecular Bond Superabrasives (MBS) operation manufactures custom-engineered, vacuum brazed, single layer diamond & CBN grinding wheels and tools. Established in 1992, we are a technically focused problem-solving organization whose core value is to provide solutions, not just products. We look forward to introducing you to our suppliers. Our line card is designed to meet the needs of precision metalworking customers and to demonstrate S.L. Munson & Company‘s commitment to serving you. Our best is standard.